The new game controller logo designs are great for online gaming and fun applications. After all, their outlook can excite visitors to check out the new game or any other entertainment site. From simple game console logo to stylish game controller logo, we have handpicked a variety of logo designs that will leave you amazed with its smart and eye-catchy outlook! These inspirational logos are all you need to add up in your own designs to make them look attractive and interesting. There’s logo with the bear head where the eyes are replaced by game control, which gives it an entirely different appearance. In fact, there are many other game controller logos including animals and they are getting trendy among the industry- download your set of logo designs today! If you want to keep the logo simple then opt for the logo design featuring the game control linings and curves around the company name. Plus, to make it depict a classic game controller perfectly, modify alphabets like ‘O’ or ‘Q’ to create a D-pad. There are best logo designs showcasing game controller pattern, outline and shape in the alphabet like ‘M’, ‘W’, etc that will make your brand name look simple yet attention grabbing. All of these Creative logo designs can do wonders for your gaming application, websites, and so on. 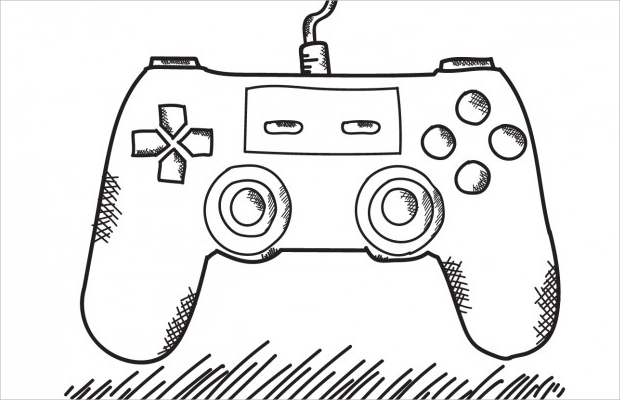 The use of the game controller logo designs is not restricted to the gaming projects, but they can be used for various concepts like the laboratory, studios and computer courses as they get along with the idea perfectly!